Leanne is the founder of The Armitage Foundation – an umbrella organisation currently running her medical outreach programme, Leanne’s Amazing Medics. We caught up with her to find out more about the programme, who it aims to help and what her future plans are. 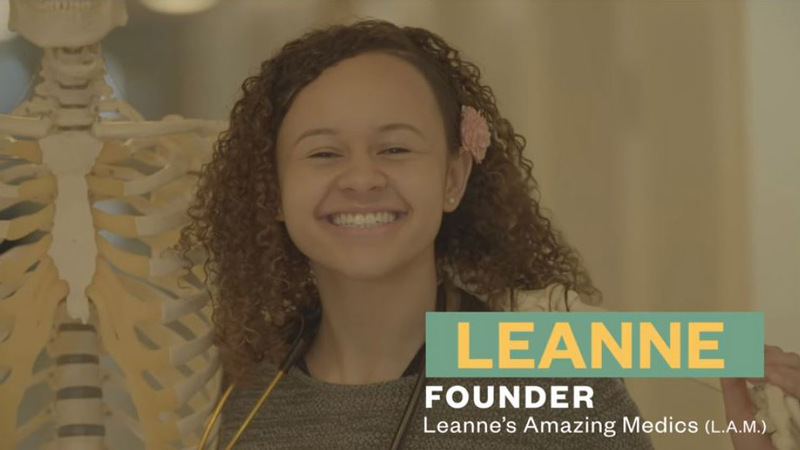 What inspired you to set up Leanne’s Amazing Medics? Medical schools in the UK have very few students coming from ethnic minorities and low socio-economic backgrounds which is bad because the society we live in is very diverse and very multicultural, which is beautiful. It’s important that the medical profession reflects that so that we can make sure that we really are providing the best healthcare service that we can. Why is it important to give kids from all walks of life access to information about the medical profession? It’s critically important that we give students from all different walks of life, backgrounds and ethnicities an opportunity to get into the medical profession because talent is everywhere. If we are not giving those students an equal playing field, then we are missing out on so much talent, we are missing out on really excellent future doctors. Who knows, one of those students could be the person that has a cure to cancer. So, it is really important that we give all of these students an opportunity. How does L.A.M. immerse potential students into the medical profession? Leanne’s Amazing Medics is part theory and part practical. For the first four sessions we do a presentation, then they will actually get involved in practical things. We also bring them out of the school environment and take them to university. Some of these students haven’t had the opportunity to experience higher education and so we think it’s really important that we immerse them in that environment and show them what it’s like. Then at the end of the programme we have a graduation where they get certificates and they get to hear from a doctor or surgeon, or someone within the medical profession, and they get to ask questions. What do you hope for the future for Leanne’s Amazing Medics? I’m really excited because The Armitage Foundation recently got registered with the charity commission which is absolutely amazing news because when you’re a registered charity it gives you so many more opportunities. Lots of these students, because they’re coming from structures where they’re lacking in support, unfortunately a one-off programme is probably unlikely to give them the fullness of the support that they require. So, the vision is to provide multiple programmes that will be a continuous intervention from Year 9 all the way up until the medical application.